4D Service Group provides quarterly inspections on Domestic Water Booster Pumps in order to minimize downtime. 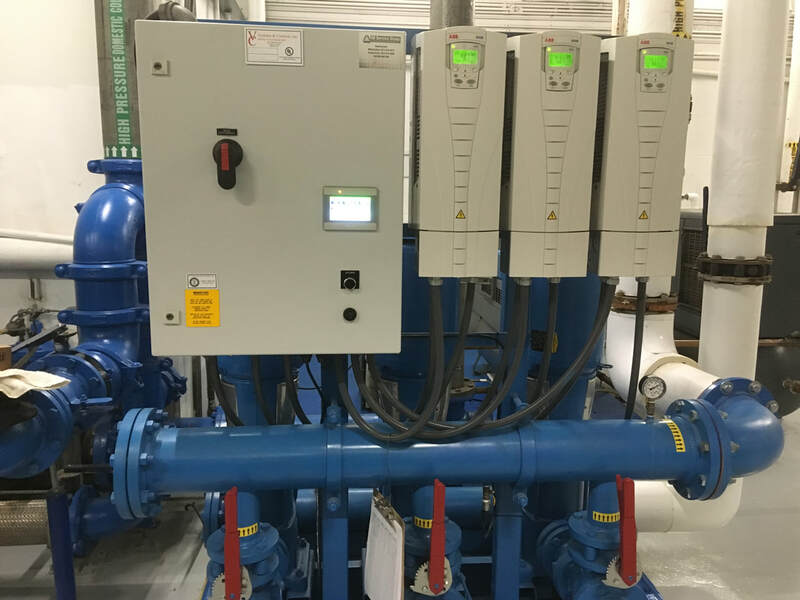 For a nominal quarterly fee, 4D Service Group will inspect the booster pump equipment to reduce potential issues and enable the system to run at peak performance. For more information about the quarterly inspection program visit our Quarterly Inspections page. Do you need a a new Domestic Water Booster Pump for your existing building? Let 4D Service Group help you by providing a competitive quote on a new system including installation. For more information on a retro DWBP installation, visit our Retro DWBP page. Domestic Water Booster Pumps tend to break down over time. 4D Service Group diagnoses and replaces faulty parts including motors, sensors, drives, PRVs, and Check Valves. For more information on specific problems, fill out the form or contact us by phone at 813-610-9672.